Chris Garver is best known as an in-demand tattoo artist and a former star of the TLC television show Miami Ink. He is also a highly skilled illustrator, as evidenced by the collection of stunning, intricate drawings in Color Odyssey. Adult coloring book fans will be thrilled by the quality of Chris's work, which rivals the most beautiful books in this genre. 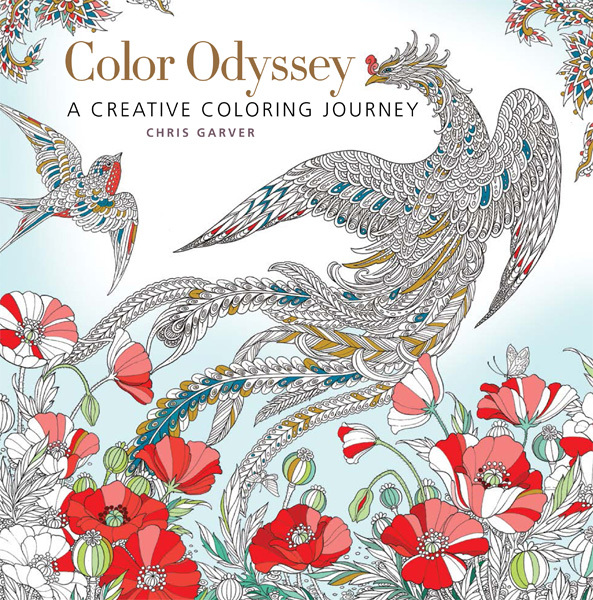 Featuring double-sided pages of mostly hand-drawn images, Color Odyssey is indeed a journey into a beautiful work of art.